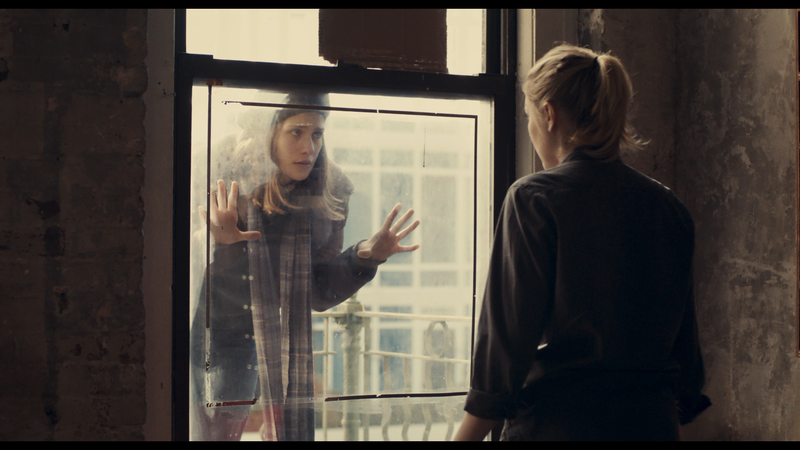 Plot Synopsis: Tracy (LOLA KIRKE) is a lonely college freshman in New York, having neither the exciting university experience nor the glamorous metropolitan lifestyle she envisioned. But when she is taken in by her soon-to-be stepsister, Brooke (GRETA GERWIG) — a proud resident of Times Square, and adventurous gal about town — she is rescued from her disappointment and seduced by Brooke’s alluringly mad schemes. Quick Hit Review: This is one of the more quirky comedies I’ve come across in some time. The dialogue is oddly written, the characters zany without being too far out there and yet there’s a sweet spot of being just an all around nice little flick with one glaring scene that was more awkward than anything. However, I admit it’s an oft funny film with well written characters and two great performances from Greta Gerwig (Lola Versus), an actress certain to breakout, and Lola Kirke (Gone Girl) who makes for an endearing lead. Co-Written with Gerwig and Directed by Noah Baumbach, Mistress America is well worth a watch just for its oddity and not so typical comedy-drama and quip-y dialogue and engaging characters, both main and supporting including Matthew Shear, Heather Lind and Michael Chernus. That being said, it’s not going to be for everybody however for others it has staying power. This release comes with a matted slip cover where sticker residue is a pain to get off. Inside is a redemption code for the Digital HD copy. Promotional Featurettes (TRT 7:04; HD) contain three short features made to advertise the movie than offer any substantive info: Story (3:36), Brooke (1:38), Tracy (1:50). Fox releases Mistress America presented in its original 1.85 widescreen aspect ratio and a 1080p high-definition transfer (MPEG-4 AVC codec). This isn’t exactly the most pleasant looking HD video where the film has a very warm texture to it and considering there was a colorist credited in the opening, it seems this was done on purpose. With that detail isn’t the greatest with distant shots being merely OK while close-ups are better. The transfer is at least clean and there’s only a moderate and natural film grain present. The movie comes with a standard DTS-HD Master Audio 5.1 track which is fine but when you consider this is a comedy-drama, there’s really not a whole lot to judge. The soundtrack with the choice music coming through each channel fairly well and dialogue levels tend to be clear enough. That said, it’s not the most dynamic lossless track or anything but certainly effective enough. Overall, Mistress America is a quirky comedy with two fun performances by Greta Gerwig (who co-wrote and produced) and Lola Kirke that makes this at the very least worth a rental even with some uneven scenes particularly the “Connecticut” section. Still, this movie stands out from all the rest and might have some replay value if Baumbach’s style is your thing. The Blu-ray, which is the only format this movie is even available on, offers good video and audio transfers with a thin slate of sustentative bonus features.